Back in 2010, when Gordon Brown was desperately trying to cling on to power in the wake of the Great Recession, the general election campaign boiled down to little more than a paltry difference of £6 billion of spending commitments between the Tory and Labour manifestos. And in the 2015 campaign, the general election was fought on the uninspiring basis of which party would be a better technocratic manager of Britain’s public services. No wonder voters are so apathetic. Under David Cameron and George Osborne, the Tories are offering a weak form of Coke Zero Conservatism, while the Labour Party under Ed Miliband stood for virtually the same watered-down, pro-European consensus as everyone else, differentiated only with a garnish of sanctimonious waffle about inequality. Some choice. Ideas – and governing philosophies – can only be truly tested when they are properly opposed, when dissenting voices are given freedom and space to express themselves fully. But it hardly needs pointing out that Britain’s current political climate does not encourage this type of dissent, or reward those who dare to stick their head above the parapet and propose policies that are not firmly rooted in the post-war consensus, post-Thatcher orthodoxy. Rather, it punishes such people relentlessly. For years now – at least until the recent rise of UKIP – to express any discomfort with the nature and scale of immigration into Britain was to mark oneself out as a St. George’s Cross tattooed, ‘Eng-er-land’ chanting racist hooligan. Even talking about the issue in terms of cultural assimilation and community cohesion was assumed to be little more than window dressing, code words hiding racist intent. And so it is with more and more issues, so that the acceptable centre ground of British politics has become so vanishingly small that one verbal slip, ambiguous statement or careless personal association can see a hapless politician Twitter shamed and excommunicated from public life faster than you can say “check your privilege”. This is toxic to our democracy, because it means that only those people with the blandest, most anodyne and focus group-friendly opinions are empowered to participate, while those with strident, unfashionable or downright unpleasant opinions are ignored and disenfranchised. At first glance it might seem good that those with unreconstructed attitudes that belong in the past are overlooked by our political process, but this is deceptive – it makes it seem as though there is a greater political consensus in the country than actually exists. And it skips over the hard work of actually achieving real popular consensus for important and welcome social change. Many commentators were shocked that a party like UKIP could perform so well in a general election, because the stale consensus of two and three-party politics masked a huge undercurrent of unrepresented public opinion that remained hidden until Nigel Farage successfully tapped it. It turns out that many millions of Britons had deep reservations about subsuming our national sovereignty into the antidemocratic EU, and many millions more did not view immigration as an entirely positive and benign force all along – but the establishment overlooked this fact and was caught off guard because the fact that neither of the two main parties were talking about these issues led them to believe that they didn’t matter. 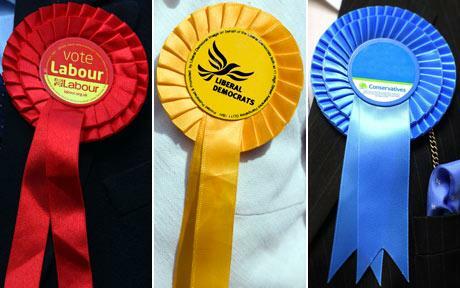 If there was real ideological choice between Britain’s two main parties – something sorely lacking in the 2015 general election – then people might actually sit up and take notice of politics again. This blog wants to see radical right-wing policies enacted in Britain, and steps taken to move beyond the one-size-fits-all straightjacket of the post-war settlement welfare state and resigned, fear-based pro-Europeanism. But these new conservative policies will never see the light of day so long as there is an intellectually dead Labour Party floating along only a few yards to the left of the Tories. Both Labour and the Conservatives need to rediscover themselves. For the Tories, now governing alone in a majority administration and with everything to lose, this will be a very tall order. But Labour have an opportunity to go through this period of soul-searching during the leadership debate, provided it does not degenerate into a petty war about personalities over ideas. 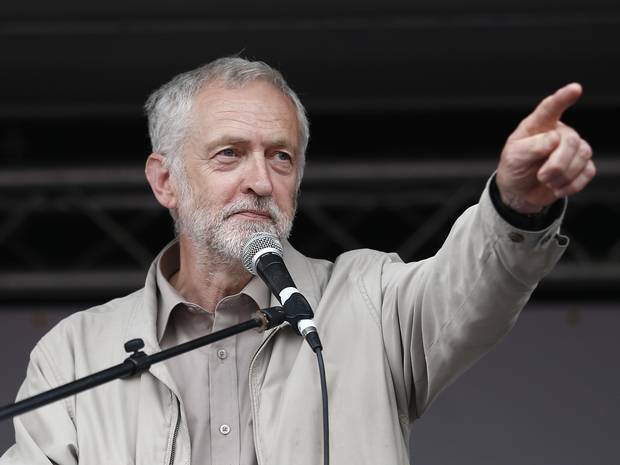 Is Jeremy Corbyn completely unelectable? Hell yes, in our current political climate. And yet we all know that our current political climate is broken and massively removed from the lives and aspirations of many Britons. So rather than choosing the leadership candidate who appeals most to the dwindling band of people who still care about the Labour Party, why not acknowledge that Corbyn at least brings real choice to the table, and then do the hard work of trying to expand the increasingly narrow window of what constitutes acceptable political thought in Britain? Are we content for things to remain much as they are, when a solidly Labour politician like Liz Kendall can be accused of being a closet Tory simply for daring to challenge the Left’s tiresome anti-austerity narrative, or where our supposedly conservative party forgets all about promoting individual freedom in order to focus on courting centrist votes with misguided policies like the national living wage? Because rest assured, this is how it will remain so long as the Conservative Party favours the likes of David Cameron over Daniel Hannan, and so long as the Labour Party favours the likes of Cooper/Burnham over Jeremy Corbyn. 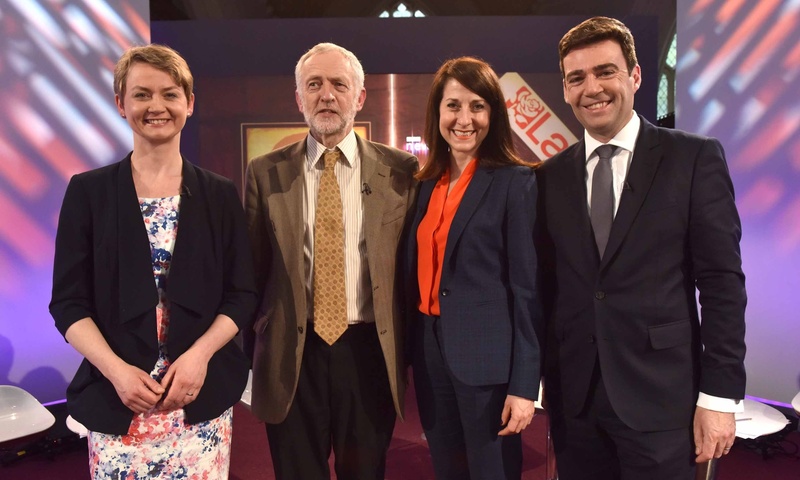 You don’t have to support socialist policies to want to see them given a proper airing in our political discourse. And you don’t have to advocate extreme policies to want to see something other than the petty squabbling over nonexistent differences that passes for debate in modern Britain. This blog would love to see the paternalistic, big government, statist socialism espoused by Jeremy Corbyn – and increasingly championed by pampered young leftists who think that David Cameron’s is an ideological government and who wouldn’t know true austerity if it smacked them in the face – advocated forcefully and passionately by someone who really believes in it. And then see it resoundingly rejected by the British electorate, defeated convincingly, once and for all, in the battle of ideas. Jeremy Corbyn’s unapologetically left-wing policies would be an unmitigated disaster for Britain were they ever enacted. But they would be a shot in the arm for our tired, jaded politics if they could at least be convincingly expressed and debated in Westminster. For too long we have surrendered our politics to the fickle affections and limited attention spans of the “swing voter”, that dullard who grudgingly pays half-attention during the final week of a general election campaign before lazily settling on a party like they are perusing the wine list at a restaurant. So for once, why not reward those who care all of the time, who actually take their politics seriously, and pick a party leader who believes in something more than just winning – or losing while looking virtuous?